Burn the Stage: the Movie has been confirmed for release on November 15, together with the unveiling of the movie’s official poster. 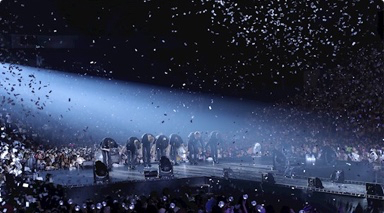 Burn the Stage: the Movie is the first BTS feature film that delivers the most intimate look to date of the 2017 BTS LIVE TRILOGY EPISODE III THE WINGS TOUR which drew more than 550,000 fans across 40 concerts spanning 19 cities. Building off of the YouTube series of the same name, Burn the Stage: the Movie contains not only thrilling footage from the band’s world tour but behind-the-scenes glimpses of the members at their most candid moments together along with brand-new from-the-heart interviews from the members. 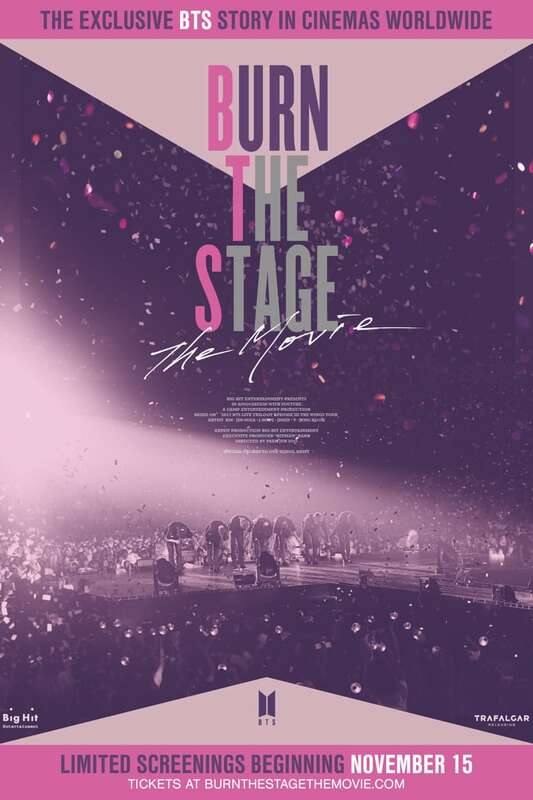 The official poster of Burn the Stage: the Movie has been unveiled as an expression of the band’s love for its fans. The poster depicts the heart-warming moment of the members of BTS bowing to their fans after the end of a performance filled with fiery passion. The roar of the crowd can almost be felt rippling out of the poster, which is made even more special by featuring both the members and their fans, who have been together each step of the way and through every history-making performance. Tickets will be on sale from the official film website BurntheStagetheMovie.com beginning Monday, October 22. Fans are encouraged to sign-up for updates regarding tickets, participating theaters and more information.